When I first started creating natural beauty products, I thought that I will stay in only one recipe and that it is really difficult to make more than one scrub or body oils or whatever. But then you just want to use this amazing essential oil you discovered the other day or to try another oil or whatever. And there are too many beauty products that actually can use according your skin type! You just need to discover them!!! 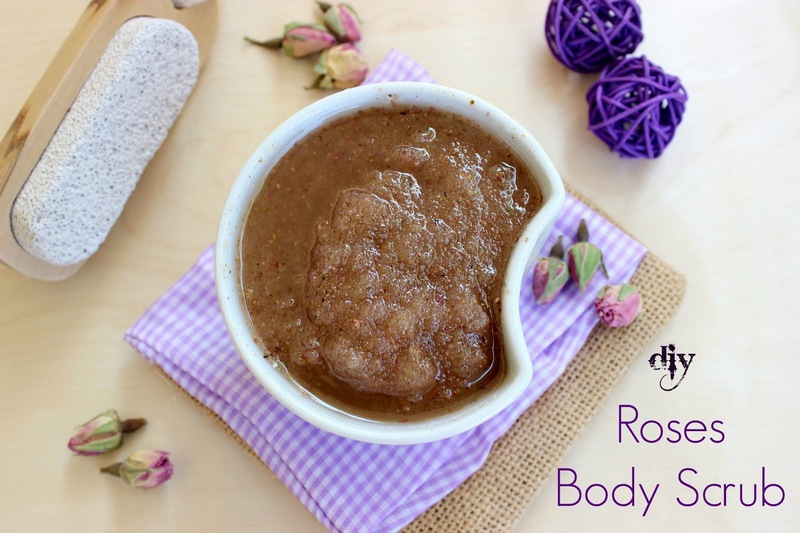 I made this body scrub when I discovered both the dried roses (you know my passion for them!) and of course when I discovered also the amazing baby rose essential oil! 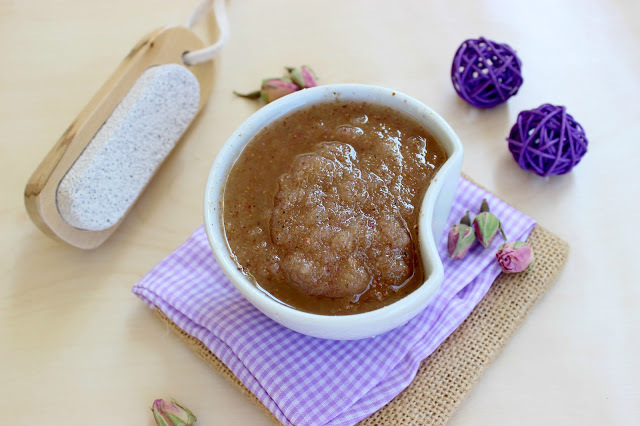 You will be surprised about the aroma of this scrub and of course how soft can make your skin due to both almont oil (one of my favorite oils) and to sunflower one. Just try it and enjoy a perfect and relaxing bath! The procedure to make it is really simple. First of all put the dry roses into a food processor and mix for just a few seconds! The petals break up into beautiful tiny pieces. 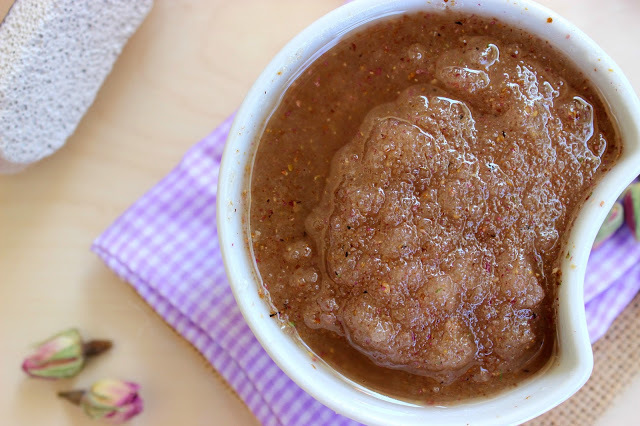 In a bowl mix the brown and the white sugar with the petals and add the drops from essential oil. Start mixing and add the almont oil and the sunflower oil. Place in air tight container and store. 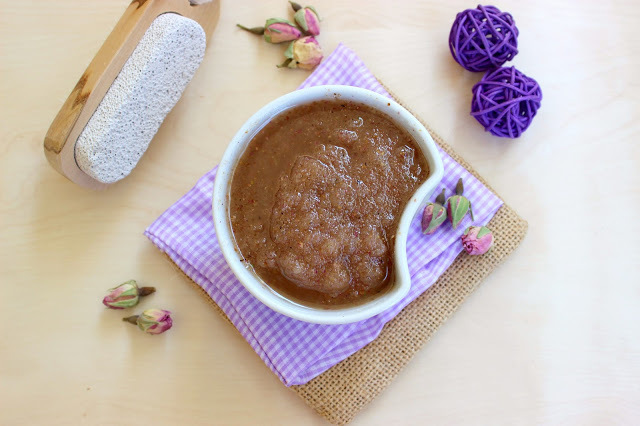 The scrub is a little bit oily, so just mix it before you use it every time. So… prepare a hot bath, put music, enjoy a glass of wine and relax! The perfect gift for yourself and why not, the perfect gift before Valentine’s night! Have fun!!!! Μας προδιαθέτεις για πολύ χαλάρωση και φρεσκάδα στο σώμα Ζηνακι.Εξαιρετικη η ιδέα σου και η εφαρμογή της! και τα δυο ειναι απλα απιστευτα! Το εχω δοκιμασει απο το δωρακι σου και ειναι απλα υπεροχο. Και με φοβερο αρωμα!!!! Τι ωραία ιδέα και πόσο εύκολη!!! Φαντάζομαι άρωμα τα τριανταφυλλάκια … !!! Πολλά φιλιά, Ζήνα μου!!! Μας εχεις τρελανει με αυτα τα σκραμπ, δεν ξερω τι να τα κανω, να τα τριφτω ή να τα φαω? χαχαχαχαχα, οχι να τριφτεις με αυτο!!!! Αχχ το φαντάζομαι ήδη να το βάζω και μετά αφρόλουτρο! Μπράβο Ζήνα!